Michael H. Hart wrote a book entitled "THE 100: A Ranking of the Most Influential Persons in History" in 1978. Several other authors have written similar books but this still remains a distinguished book in it's category. The book is thought provoking and encourages the reader to see history from different perspectives. He chose Prophet Muhammad to lead the list of the world's most influential persons which was surprising to many people. He said he chose Muhammad because he was the only person in the history who was supremely successful on both the religious and secular levels. Michael Hart went on to count the traits and qualities of Prophet Muhammad and his overall impact on human history and arrived at the conclusion that Prophet Muhammad should be the number one person in the filed of 100 influential persons in human history. Another surprise to many people was Michael Hart's choice of Umar Ibn Al-Khattab among the 100 influential persons, whom he not only included among these 100 persons but also put him as number two on the second half (51 to 100) of his choice. Umar Ibn Al-Khattab is 52nd on the list. He ranked him higher than such famous men as Charlemagne and Julius Caesar. 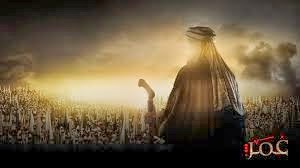 He further says that Umar's brilliant leadership was responsible for the expansion of the Islamic territory and the enormous extent that it did occur under him. He further says that Umar Ibn Al-Khattab ordered the Muslim armies to leave the natives of the conquered land in peace and ordered the military personnel not to force the natives to convert to Islam. In the parenthesis Michael put his note, "From the above, it is clear that the Arab conquest was more a nationalist war of conquest rather than a holy war, although the religious aspect was not lacking". Michael Hart further says that Umar ibn Al-Khattab's achievements are impressive and it would be a grave mistake to ignore his contributions to humanity. It should be noted that Umar Ibn Al-Khattab's brilliant leadership was responsible for permanence of the territories that came under the Islamic role at that time and are still part of the Islamic world today. Umar Ibn Al-Khattab is a pioneering figure in the Islamic world. He was a leader, a statesman, a pious and God conscious Muslim who showed respect for all individuals including non-Muslims and he ordered the Muslims to treat non-Muslims with respect. He showed us how to apply the Quranic injunction "there is no compulsion in religion." Under the leadership of Umar ibn Al-Khattab Islam spread widely not by the sword but by virtue of its beauty, simplicity, transparency, openness and the leadership provided by him. Another reason for the rapid growth of Muslim community was the conversion of some high-placed religious personalities from among the Jewish and the Christian communities. These religious personalities saw Islam as a continuation and affirmation of the Abrahamic faith. Ardkun, the Bishop of Damascus, accepted Islam after the Islamic armies entered the city under Khalid bin Walid. The followers of Ardkun became attracted towards the new faith and became Muslim. The chief administrator of the city of Shata in Egypt, famous for its textiles manufacturing, left his town with two thousand men and went to city of Damietta where the Muslim army was camped and embraced Islam with his followers. During the time of Umar ibn Al-Khattab, the non-Muslims enjoyed freedom of religion. They were free to perform their religious rites, ring bells to start their religious ceremonies, take out the Cross in procession and hold religious fairs. Even treaties were signed during the time of Umar ibn Al-Khattab with non-Muslims that guaranteed freedom of religion. The writ of Hudhaifa bin al-Yaman to people of the region of Mahdinar says, "They shall not be required to change their religion, nor shall any interference be made in their religious practices." Umar ibn Al-Khattab followed the principle of equality very strictly and would not tolerate any kind of distinction. Once, Umar ibn Al-Khattab had a difference of opinion with Ubayy bin Ka'b. The matter was referred and brought in the court of Qazi Zaid bin Thabit. When Umar ibn Al-Khattab arrived at the court the Qazi, Zaid bin Thabit, vacated his seat out of respect for the Khalifah. Umar ibn Al-Khattab, after observing the situation, said that this was the first injustice Zaid has done to the suit. Then he sat down next to Ubayy, his opponent. Umar ibn Al-Khattab always favored individual freedom and self-respect. By word of mouth and through his writings he made it very clear that every human being was born free and no one should have to abase himself in front of others. Once, the son of Amr bin As abused and beat up a Copt Christian; on hearing this Umar ibn Al-Khattab had son of Amr punished publicly by the hand of the victim Copt Christian. Then Umar ibn Al-Khattab addressed both father and son and said, "Since when have you turned men into slaves, whereas they are born free of their mothers?" The people of many cultures who accepted Islam faced new challenges. More complex questions regarding the Islamic way of life cropped up at the same time. Many of the questions could not be answered because clear rulings of the Holy Prophet or the Holy Qur'an were not available. The Qadis and Muftis appointed in towns and cities were Companions of the Prophet, yet they referred complicated questions to the Khalifah. The famous Sahabis who referred the question to Umar Ibn Al-Khattab are Abdullah bin Ma'sud, Ammar bin Yasar, Abu Musa Ash'ari, Abu Ubaidah bin Jarrah, Mughira bin Shuba and others. Umar ibn Al-Khattab gave his judgment after discussing these questions in the assembly of the companions. The discussions were conducted with the greatest freedom and acumen. Shah Wali-Ullah writes in Hujjatullah al-Baligha, "It was Umar's practice to consult the companions and hold discussions with them, until the veils were lifted and conviction was attained. For this reason Umar's dicta were accepted throughout the East and the West." It is said that his writings, his letters and official instructions were as powerful as his speeches. In a letter to Abu Musa Ash'ari he wrote, "People generally hate their ruler, and I seek protection of Allah, if my people should entertain similar feelings about me. Avoid vain suspicions and keep away from malice, and don not encourage people of cherish vain hopes, and be careful of Allah's property, and guard yourself against evil men. If you find any people who are vindictively inclined towards the Muslim state, it is devilish inclination and must be put down by the sword, until they bow to Allah's decision and turn to better ways"
In another letter to Abu Musa Ash'ari he said, "The thing that strengthens one in execution of work and that one should not procrastinate; for if you do so, your affairs will heap up and overwhelm you and you will not then be able to decide what to do and what not to do, and you will fail in your work." Umr Ibn Al-Khattab appointed Amr bin Al-As as the Governor of Egypt. Amr bin Al-As delayed remitting the revenue to the treasury. Umar ibn Al-Khattab wrote to him and reminded about the delay. Amr bin Al-As procrastinated. Umar ibn Al-Khattab sent him a strong letter, he wrote, "I understand that the thing that has kept you from replying is the fact that your subordinates are not good. They have made you a shield, and it is a disease for which I possess an effective remedy. I am surprised that I have written to you often and at length, but you neglected sending the revenue and have avoided giving straight answers. So Abu, Abdullah, don't worry. Due shall be taken from you and you shall pay them, for as the river yields pearls, so will you have to render the dues." Umar ibn Al-Khattab used to end his speeches with following statement: "O God, let me not fall into an error, nor let me be called to account on unawares, nor let me fall into neglect." Umar ibn Al-Khattab's actions speak louder about his character, his integrity and his love for the people in the Muslim state. He made rounds at night to gauge and evaluate the condition of the people. His achievements are reflection of his life. One who keeps his own counsel keeps his affairs in his own hand. Fear him whom you hate. Do not put off today's work till tomorrow. He who does not know evil will fall into it. When a man asks me a question, I know his intelligence. Don't forget your own self while preaching to others. The less of the world, the freer you live. Avoidance of sin is lighter than the pain of remorse. If patience and gratitude had been two she camels, it would have mattered little on which I rode. May God have mercy on him who sends me my faults for a present! During his Hajj pilgrimage to Makkah, Umar ibn Al-Khattab heard one of the camel drivers singing. People asked Umar ibn Al-Khattab as to why he did not stop the camel driver from singing. Umar ibn Al-Khattab replied, "Music was the camel driver's provision for a journey. Established courts of justice and appointed judges. Proposed and enforced use of the era of Hijra. Assumed the title of Amir-ul-Mu'minin. To engage the anti-Islamic forces he organized and established the War Department. Placed army reserves on the pay-roll. In addition to this, Umar Ibn Al-Khattab improved the army administration by providing every army corps with an officer of the treasury, an accountant, and number of interpreters, physicians and surgeons. He instructed the army commanders to submit accounts of war expenditures and list of the spoils of war. Historical records show that in 16 Hijri Ziyad bin Abi Sufyan came from city of Jalula Ð after its conquest - and brought with him the records of the accounts to Madinah and submitted them for Umar ibn Al-Khattab's perusal and review. Established Land Revenue Department, ordered survey and assessment of lands and also ordered conducting census. This required maintenance of the land revenue records in Persian, Syriac and Coptic languages. The accounts were kept on long rolled-up sheets. Founded cities: Kufah, Basrah, Jazirah, Fustat and Musal and undertook construction and building of canals. Divided conquered countries into provinces. Appointed officials for the collection of tax on the produce of sea. Gave permission to traders from foreign countries to conduct business in the Islamic territory. Organized jails and enforced use of the whip. Made rounds at night to gauge and evaluate the condition of the people. For relaxations he enjoyed lighter pursuits including poetry. Once he asked Abdullah bin Abbas to recite him poetry the whole night. At the time when dawn was breaking, he said, "Now recite the Holy Qur'an." During one of his night rounds around the city he heard the sound of music. He stopped and listened to the music and then moved on. Established military cantonments and had them located at strategic points. Set up a system to classify pedigree and non-pedigree horses. Built houses on the road from Makkah to Madinah for the comfort of the travelers and also established guest-houses in different cities. At that time a system was established for the clearance of land, construction of roads, building of bridges and other operations which are carried out by sappers and miner in present day armies. The local people of the lands were recruited to perform these duties. Provided stipends for the poor Jewish and Christian people. Established schools and provided salaries for school teachers and public lecturers. Proposed the principle of Qiyas and its formulation. Proposed exact division of inheritance. Proposed and inserted additional statement "Prayer is better than sleep" in the call for Fajr prayers. Ordained performing taraweeh prayers in congregation. Established law for the punishment of alcohol drinkers with eighty lashes. Proposed a method for preparing trusts. Obtained consensus of opinion for saying four takbirs in funeral prayer. Made arrangements for providing lights in mosques at night. It is stated that until the Khilafate of Umar ibn Al-Khattab there were no arrangements for lights in the mosques. A person by name Tamim Dari made the arrangements and supplied lamps for the mosques with Umar ibn Al-Khattab's permission. Established a procedure to giving salaries from the public treasury to Imams and Muazzins.